The hard floor cleaning and polishing services we provide across Notting Hill W11 can restore any dull, scratched and worn hard floor to its former glory. No stain or soil is too difficult for us to remove as we work with experienced professionals only, who implement high-end cleaning and buffing machines to render spectacular results. Pricing should be the least of your concerns as you will hardly find more competitive rates than those we charge for our quality service. We are firmly convinced no other company can beat us as far as customer service and quality are concerned. After all, you don’t install an expensive marble floor every day, which is why we aim at caring and protecting our customers’ investments. Regular maintenance of your hard floor will not only enhance its appeal, but has the potential to greatly extend its life. Each type of hard floor surface is unique and as such, calls for the application of a different approach. The type of detergents used in the process also plays a central role in the cleaning process. Because of this, we always begin with a free inspection to see what type of surface we’ll be dealing with. Once our technicians have cleaned the floor, they might proceed with polishing, provided they have encountered any imperfections on the surface during the inspection. 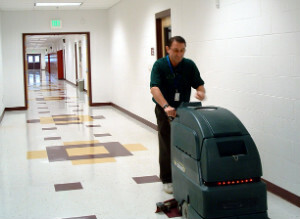 They will buff the floor with a specialised machine to smooth out all scratches and indentations. When polishing is over, your floor will have attained an impressive reflective shine and will look as good as new once again. Our experts might also recommend sealing as this will protect the floor against further damages. If you are interested in our offer, give us a call any day of the week. Our hard floor cleaning and polishing services in W11 London are available from Monday to Sunday!